Before engaging any building surveyor to carry out a building inspection on your property you should first give consideration to what information you require. Don’t leave your building inspection to chance and expect that the report will answer the concerns that you have. There can be major differences between building inspections, even those dealing with the same issues. There are many types of building inspections covering all components and services both inside and outside properties. Building inspections can cover a huge number of areas including Home Buyers Building Inspections, Commercial Building Inspections, Inspections of Party Walls and Boundary Walls, Building Inspection of Roofs, Damp and Condensation Inspections, Building Regulation Inspections, Building Inspections of Attic Conversions, etc. There is no standard format in how an building survey report is laid out. Every firm has their own way of presenting their report and the extent of the report in some cases maybe limited by the terms and conditions within that building inspection report. The standard of the building inspection undertaken is totally reliant on the experience of the building surveyor. The more detailed and thorough the building inspection is the better. Depending on what type of building inspection is required, a surveyor may require various different specialised tools and equipment to carry out the inspection. Common tools and equipment would include, ladders, torches, screw drivers, infrared camera’s, damp testers to mention but a few. The use of an infrared camera and a damp tester to determine dampness and mould in the property at the time of inspection. The infrared camera is important when checking for dampness as it will assist the surveyor in identifying defects that a human eye would not see. A home is probably the most expensive and important purchase that most people will make. If you are buying a new property it’s not worth leaving it to chance and not getting a detailed pre purchase building inspection to check that the property is sound. The building inspection report and advice from a surveyor could save you a significant amount of money in repairs or may prevent you buying the property in the first instance. 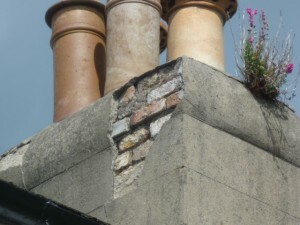 If you are currently living in a property with defects the surveyors building inspection report and advice will let you know the major defect and what works maybe required to remedy the problem. Unfortunately some building contractors have a tendency of recommending costly solutions to defects which may not be in the best interest of the home owner. What is the Cost of a Building Inspection. You should always get a full understanding of what the cost will be before engaging any surveyor or indeed any other professional for advice. If you have any other queries on Building Inspections please Call Property Health Check on 1890-787839 or fill out our online survey quote form.